TM Master is a fully integrated marine information system, comprising modules for ship maintenance, procurement, human resources and quality assurance. The software suite has been designed to facilitate storage, editing and retrieval of information, supporting ship owners or manager's operations from planning through execution. A strong replication manager governs the flow of data between ship and shore, ensuring data consistency and keeping you up to date at all times. A robust database at the core of the system is used for data storage and shared by all the modules. This ensures that all your information is available at your fingertips, regardless of which application you are using. When deployed, TM Master is the perfect partner in any drive for reduced expenditure and efficient operations. 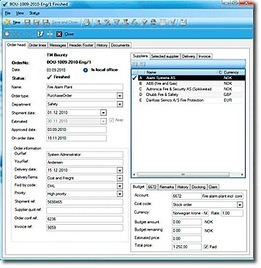 TM Master is designed to work with future operating systems, and is also ideally suited for integration with third party software such as ERP software. The best in class user interface makes TM Master easy to learn and use. Rapid deployment and a great learning experience reduces pay-back time and maximises the return on your investment. 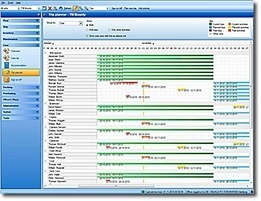 TM Master is the cost-efficient and friendly alternative!